DO YOU WANT MORE INFORMATION ABOUT LAKESIDE BUSINESS PARK? 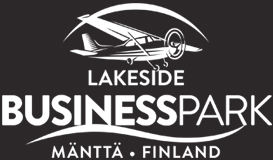 More information of Lakeside Business Park business premises You can get from Mänttä-Vilppula Economical Development Agency, MW-Kehitys Oy. Sassi Business Park Co-Creation -project is financed by Council of Tampere Region AIKO-finance and its supervised by MW-Kehitys Oy. Mänttä-Vilppula municipality owns Mänttä aerodrome. Plot and lease of land belongs to Mänttä-Vilppula municipality. All rights of plot and lease land and timetables of construction are reserved municipality of Mänttä-Vilppula. This pre-sale based on proposal of town plan dd 3.4.2018.